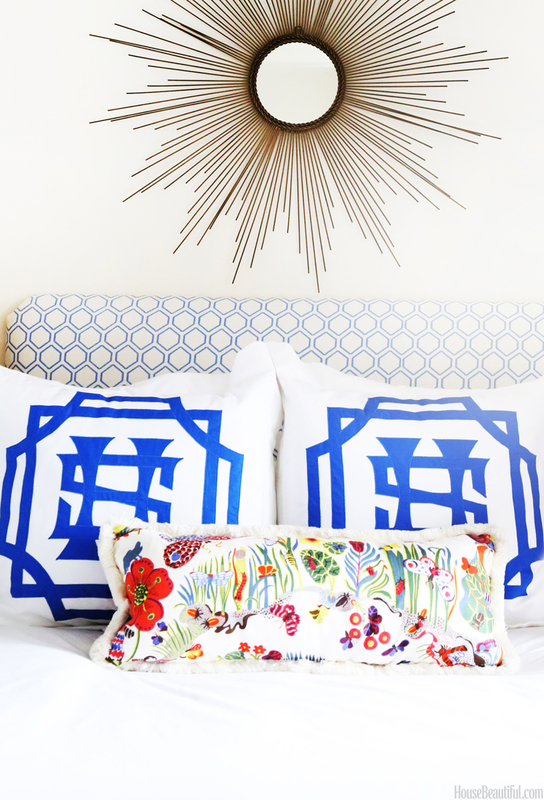 Loving this bedding moment from Ali Fuge's studio apartment in House Beautiful. Crisp white contrasted with gorgeous pops of color. Works especially well as the rest of the space is pretty neutral. And you can never go wrong with a sunburst mirror...never. Have a fantastic weekend! See you next week!